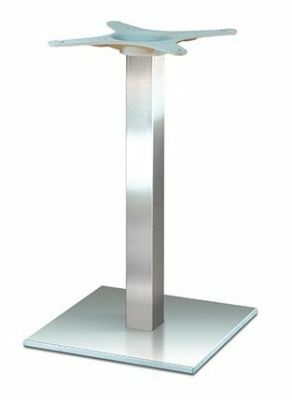 The B2 Square table base is a high quality table stand with a weighted base. Designed for all shapes of table top and comes in three different size options. Delivered free of charge to any UK mainland address as standard. A café table base in brushed stainless steel to suit a wide variety of commercial uses. The B2 range offers a fantastic quality product, finished in brushed steel for an overall high end look.